Videoslots is a NetEnt Casino owned by Panda Media Ltd and was established in 2011. Videoslots Casino has multiple awards and has been deemed the world’s biggest online casino. They offer a superb selection of over 2400 games from over 75 software providers including: NetEnt, Quickspin, Microgaming, Quickfire, Thunderkick, Yggdrasil Gaming, Big Time Gaming, Play’ n GO, Sunfox Games, Bla Bla Bla Studios, Foxium, Elk, Meta Games Universal, Magic Dreams, Habanero, Betsoft Gaming, to name a few. Videoslots is the world’s biggest online casino with over 2400 games to play. Videoslots offers ‘The Weekend Booster’ where players can win up to €300 per day, wager-free. There are weekly Casino Races that take place where the casino gives away €90,000 per week. You can take part in the ‘Battle of Slots’ promotions where players take part in unique slots battles. There is a cool ‘My RTP’ live feature in player accounts where players can analyse their gameplay after a gameplay session has been terminated. 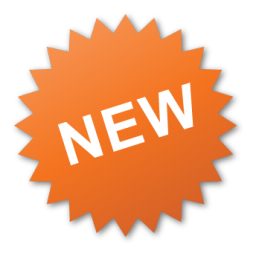 New players* at Videoslots get 11 Wager-Free Welcome Spins on a random game at the casino after the first deposit has been made. Additionally, new players also get a first deposit bonus of 100% up to £200 + £10 Extra Cash. New players from select countries* are eligible for £10 Extra Cash upon first deposit (minimum deposit: £10). The £10 Extra Cash will be automatically added to the player’s real money account. The wagering requirement is 20x on the bonus only. 11 Wager-Free Welcome Spins and a first deposit bonus of 100% up to $/€200/2000Kr + $/€/10 /100kr Extra Cash after their first deposit. New players from select countries* are eligible for $/€/10/100kr Extra Cash upon first deposit (minimum deposit: $/€10/100kr). The $/€10/100kr Extra Cash will be automatically added to the player’s real money account. The minimum deposit amount is €10, $10, 100Kr. 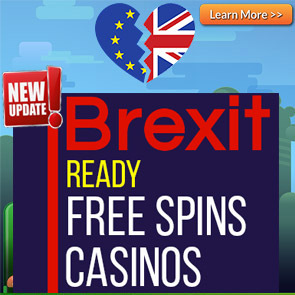 Welcome spins carry no wagering requirements. New players must be 18+. New players will receive 11 welcome spins on a random game after they make their first deposit. New players have 7 days to activate the bonus, once activated welcome spins must be used within 24 hours. Welcome spins winnings carry no wagering requirements. There is no maximum cashout for these spins. 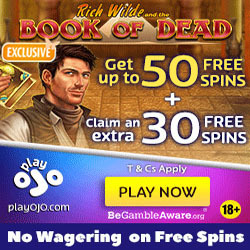 *New players from the following eligible Countries can claim the 11 welcome spins: Austria, Bulgaria, Canada, Croatia, Cyprus, Czech Republic, Estonia, Finland, France, Germany, Greece, Hungary, Iceland, Ireland, Italy, Latvia, Liechtenstein, Lithuania, Luxembourg, Malta, Netherlands, Norway, Poland, Portugal, Romania, Slovakia, Slovenia, Spain, Sweden, Switzerland, and the United Kingdom. New players must 18 or over to play. If you reside in a country where the minimum age is 21, then you must comply with the laws of that country. The minimum deposit is £10 or equivalent to receive the first deposit bonus. The maximum is up to £200. The wagering requirement for the first deposit bonus is 20x (bonus) before any winnings can be cashed out. New players will receive £10 extra cash when they make their first minimum deposit of £10 or equivalent. The wagering requirement for the first deposit bonus is 25x before any winnings can be cashed out. Visa, Mastercard, Skrill, Neteller, SafetyPay, Entropay, Ecopayz, Flexepin, Neosurf, Paysafecard, SMS voucher, Euteller, Trustly, Zimpler Mobile, Siru Mobile, InstaDebit, Klarna, and Bank wire transfer. Afghanistan, Algeria, American Samoa, Angola, Argentina, Australia, Bahamas, Bahrain, Bangladesh, Belgium, Bosnia & Herzegovina, Bulgaria, Burma, Cote d’lvorie, Cuba, Cyprus, Czech Republic, Democratic Republic of the Congo, Denmark, Egypt, Estonia, Eritrea, France, Fiji, Guam, Guyana, Haiti, Holy See (Vatican City State), Hong Kong, India, Iran, Iraq, Israel, Jordan, Kazakhstan, Kenya, Kuwait, Kyrgyzstan, Lao PDR, Lebanon, Liberia, Libya, Lithuania, Marianas Islands, Italy, Mozambique, Myanmar, Nigeria, North Korea, Papua New Guinea, Pakistan, Palestinian Territory, Panama, Portugal, Poland, Puerto Rico, Qatar, Romania, Reunion, Rwanda, Saudi Arabia, Senegal, Singapore, Somalia, Spain, Sri Lanka, Sudan, Syrian Arabic Republic, Tanzania, Turkey, Uganda, U.S. Minor Outlying Islands, U.S. Virgin Islands, Ukraine, United Arab Emirates, United States of America, Vanuatu, Venezuela, Vietnam, Yemen, and Zimbabwe.